Draft: 2009, San Diego Padres, 7th rd. Graduated from Jupiter High School in 2006...Played college baseball at Nova Southeastern University in Fort Lauderdale, Fla.....2018 recipient of the Missouri Athletic Club's Sports Personality of the Year award...He and his wife, Lauren, reside in Jupiter, Fla. with their three children: Lillianne (2) and twins Madelyn and Miles (7/16/18). Established career-bests in wins (18), starts (32), innings pitched (200.2), strikeouts (146) and opponent batting average (.245) in the first year of a two-year deal following a three-year stint in Japan...Was one of five Cardinals (Jordan Hicks, Matt Carpenter, Bud Norris, Francisco Pena) and the only starting pitcher to be active for every game all season...Selected by Major League Baseball to represent the Cardinals on the 2018 National League All-Star team. It was his first MLB All-Star nod and second recognition of his career (2010 Midwest League Mid-Season All-Star with A-Fort Wayne)...Missed the All-Star Game in Washington D.C., as he returned home to Jupiter, Fla., with his wife Lauren, as they welcomed twin daughter (Madelyn) and son (Miles) on July 16...Was the first Cardinals starting pitcher in franchise history to earn an All-Star nod in his first season after signing as a free agent, and the only non-rookie player selected in 2018 who didn't play in the Majors the previous year...Finalist for National League's Comeback Player of the Year by MLBPA Player's Choice Awards, in a voting by his peers...Was 10-0 with a 3.53 ERA (97.0 IP) in 16 road starts, ranking T2nd in the NL in road wins. Joined Eddie Yuhas (9-0 in 1952) as one of only two pitchers in Cardinals history with a perfect road winning percentage (since 1913)...One of eight pitchers in MLB history (since 1913) to post a road record of 9-0 or better in a single season (last: Daisuke Matsuzaka, BOS, 9-0, in 2008)...Joined Atlanta Braves' Greg Maddux (13-0 in 1995) and New York Yankees' Jimmy Key (10-0 in1994) as the only starters in Major League history to win at least 10 games on the road without absorbing a loss (since 1913)...Ranked 2nd in the National League in home ERA (2.17)...All four of his losses came at Busch Stadium, despite allowing three runs or fewer in all four defeats...Became the first Cardinal to win 18 games in a season since Adam Wainwright (20) in 2014, and the first Cardinal to post 18 wins in his first season with the Redbirds since Darryl Kile (20) in 2000...His .818 winning percentage led the National League and was the 2nd-highest single-season qualifying mark in Cardinals history behind Kyle Lohse (.842, 16-3) in 2012...Ranked among NL leaders in wins (18, T1st), ERA (2.83, 4th), innings pitched (200.2, 6th), starts (32, T9th), shutouts (1, T1st), WHIP (1.07, 5th), quality starts (20, T6th), batters faced (808, 8th), opponent at-bats (760, 4th), HR/9 IP (0.72, 4th), and hits allowed (186, 1st)...Also ranked in the Top 10 among NL pitchers in strikeout/ walk ratio (5.03, 4th), baserunners/9 IP (9.96, 5th), opponent OBP (.278, 7th), opponent slugging pct. (.350, 7th) and opponent OPS (.628, 7th)...His 15.0 pitches per inning ranked 2nd in the National League (NYM's Jacob deGrom, 14.8), and was the lowest average by Cardinal since John Lackey (14.3 in 2015). Averaged 3.72 pitchers per batter faced, 2nd in the NL to Ivan Nova (3.70)...Led the National League in fewest walks/9 IP (1.30) and walks/batter faced (0.36), and finished 4th in strikeouts/walks (5.03). Joel Piñeiro (2009) was the last Cardinal to lead the NL in walks/9 IP (1.14) and walks/batter faced (0.31)...Issued one or fewer walks in NL-leading 25 starts and no walks in 12 starts (T1st in NL with Clayton Kershaw and Ivan Nova 12)...Mikolas (29 walks, 32 starts) and Nathan Eovaldi (20 walks, 21 starts,) were the only MLB pitchers to issue fewer walks than starts in 2018 (minimum 20 starts)...Did not walk a batter over three starts (4/22-5/4) totaling 21.0 IP, T4th-longest streak in the NL behind Ivan Nova (27.2), Tanner Roark (24.2) and Ross Stripling (24.0)...Also logged walk-less streaks of 15.0, 12.0, and 10.2 IP in 2018...Issued MLB-low two walks in March/April (33.0 IP) and September/October (33.2 IP)...Matched Joaquin Andujar's (36.0 IP in 1982) mark for fewest walks by a Cardinals pitcher in March/April, and tied five Cardinals for their September/October records. (30 or more innings pitched)...Paced National League pitchers in ground balls (304), and ranked 3rd in ground ball percentage (50.0), T5th in ground ball double plays induced (18) and 5th in ground ball/fly ball ratio (1.83)...Limited opposing right-handers to a .264 opponent slugging percentage, 2nd-lowest in the NL and 5th-lowest in Cardinals single-season history. Twelve of his 16 home runs allowed were hit by left-handers...Threw 71.1% his first-pitches for strikes, highest in the NL and highest in Cardinals single-season history. Also ranked among NL leaders in percentage of pitches taken (47.5, T1st), percentage of pitches put in play (20.8, 2nd), swingand-miss percentage (20.0, 4th), percentage swinging at the first pitch (35.4, 1st)...Pitched 7.0 or more innings in 12 starts (T5th in NL) and at least 6.0 innings in 24 of his 32 starts (T6th NL). Worked 7.0 innings in four consecutive starts (4/14-5/4), T4th-longest among NL pitchers (Jacob deGrom led the NL with 7)...Logged scoreless streaks of 14.2 (5/16-5/27) and 14.0 (4/27-5/10), the 4th- and 5th-longest scoreless streaks by a Cardinal in 2018...Ranked 3rd in the NL in both run support (131) and run support average (5.88)...Sported a 18-0 record with eight no-decisions (St. Louis was 23-3) when receiving two or more runs of support in his starts...Among NL pitchers defensively, finished 2nd in total chances (51), 3rd in putouts (19) and T4th in assists (30), all team-leading totals...Allowed two stolen bases in three chances, tied with Zack Greinke for fewest stolen bases allowed among qualified NL Pitchers...Made his Cardinals debut against the Brewers at Miller Park (4/2) and won, 8-4. Marked his first Major League start (and victory) since August 25, 2014 at Seattle (with Texas Rangers)...Struck out a then career-high seven batters while working 7.0 IP for his third straight start at Pittsburgh (4/27). Was in line for the win before Pirates scored three in the 9th and went on to win, 6-5, in 11 innings...Pitched 6.2 innings and only allowed a solo home run (Raffy Lopez) against his former drafting team in a 2-1 Cardinals win over the Padres at Petco Park (5/10)...Was one of 19 MLB pitchers and eight in the National League to throw a shutout in 2018. Threw his first career shutout firing a four-hit gem with nine strikeouts vs. KC (5/21). Set career highs in innings pitched (9.0) and strikeouts (9). Retired 15 straight from the 4th to the 9th inning and 16-of-17 to finish game...The Jupiter, Fla. native allowed one unearned run over 7.0 innings for a win in home stand finale vs. Miami (6/7), lowering his ERA to 2.27...Earned his team-leading 17th win of the season and his 4th in as many starts in a 9-2 victory over San Francisco (9/23) at Busch Stadium. Held the Giants to his season-low two hits and struck out eight, his highest total against a National League team...Finished his season going 5-0 with a 2.14 ERA (33.2 IP) in five September starts. Became the first Cardinal since Adam Wainwright (2014) to win five games in only five starts in September, and only the 3rd Cardinals pitcher all-time (Flint Rhem, 1930)...St. Louis was 9-0 when he recorded a hit in 2018...Shared the Major League lead in home runs among pitchers (2) in 2018; also NYM's Steven Matz, teammate John Gant, and CIN's Michael Lorenzen who had 4, but 2 as pinch hitter...Ranked T3rd in extra-base hits (3) and T9th in hits (9)...Hit a two-run homer (4/2) off Milwaukee's Zach Davies in the 5th inning for his first Major League hit...Was St. Louis' first pitcher to achieve the feat since Mark Worrell (June 5, 2008 at Washington, Game 2 of DH)...Hit safely in four straight starts (4-for-8) from 7/28-8/13. His 4-game hit streak was T2nd-longest for a pitcher (Max Scherzer, 6G)...Hit two-run home run in 7-5 win at Coors Field (8/24), his second career home run. His 426-ft blast was the 4th-longest tracked from a pitcher in 2018 and the longest hit by a Cardinals pitcher since Statcast began tracking in 2015...Recognized as having the "3rd-Best Control" in the National League by managers, coaches, scouts and executives in Baseball America 's 2018 "Best Tools" survey following the season, trailing Zack Greinke and Jacob deGrom. Led the Japanese Central League in innings pitched (188.0), strikeouts (187), games started (27), strikeout/ walk ratio (8.13) and hit batsmen (11) ... Ranked 3rd in the Japanese Central League in wins (14) and ERA (2.25) and 2nd in WHIP (0.98) ... Won Central League MVP of the Month for August. Missed the start of the season with right shoulder tightness, which required Platelet Rich Plasma Therapy in the United States. Rejoined the Yomiuri Giants on June 21 for the start of his season. Led the Japanese Central League in winning percentage (.818, 13-3) of pitchers with 10 or more decisions, and WHIP (0.90) among qualifying starting pitchers ... Won Central League MVP of the Month for June. Made 10 Major League starts for the Texas Rangers and 16 appearances (6 starts) for Round Rock (AAA) ... Pitched a career-high 8.0 scoreless innings of three-hit ball with a walk and five strikeouts at SEA (8/25) in what would be his final start with Texas ... Was scratched from his start at HOU (8/30) with shoulder fatigue and did not pitch the remainder of the season ... Was 2-1 with a 2.63 ERA in six starts on the road and 0-4 with a 13.73 ERA in four starts at Globe Life Park in Arlington ... Had three starts of 7.0 innings or more and yielded two runs or less in each ... Struck out a career-high six batters in two different starts (7.0 IP, 8/2 at CLE & 5.0 IP, 8/19 at MIA) ... Made 10 relief appearances at Round Rock before moving into a starting role on May 30 vs. New Orleans, in which he threw 5.0 scoreless innings of two-hit ball for the win. Saw his first Big League action with the Padres, also splitting the season between Double-A San Antonio and Triple-A Tucson.Selected from Double-A San Antonio on 5/5, making his Major League debut that day vs. MIAand allowing a homerun to his first batter faced (Giancarlo Stanton)...went 1-1 with a 3.29ERA (5ER/13.2 IP) and 12 strikeouts againstnine walks over 13 outings before being optioned to Triple-A Tucson on 6/5.Recalled from Tucson for a second stint on 7/5, appearing in two games before being optioned back on 7/14.Recalled for a third and final stint on 8/5, going 1-0 with a 3.38 ERA(6 ER/16.0 IP) over 10 relief outings from 8/5through the end of the season.Recorded a 9.2 scoreless innings streak from 5/18-6/3.Earned his first Major League victory on 5/20 vs. LAA, working 2.0 shutout innings, retiring all six batters he faced,as the Padres won in walkoff fashion on a Will Venable run-scoring single in the bottom of the 13th inning.Posted a 2-0 record with a 3.12 ERA(6 ER/17.1 IP) in 12 outings at Petco Park in 2012. Split his season between Single-A Lake Elsinore and Double-A San Antonio, serving as closer and finishing 50 games in his 62 combined appearances...tallied 21 saves while also going 4-0...Posted a combined 1.38 ERA (11 ER/72.0 IP) between his two stops, averaging 8.6 strikeouts per 9.0 IP while posting a 4.6 K/BB ratio. Experienced his first full season as a reliever, making 60 appearances out of the bullpen for Single-A Fort Wayne...Finished 30 games, tallying 13 saves...Struck out 78 and walked just 15...averaging 8.6 strikeouts per 9.0 IP and posting a 5.20 K/BB ratio. Made 11 starts and four relief appearances in his professional debut with Short-A Eugene. July 21, 2018 St. Louis Cardinals activated RHP Miles Mikolas from the paternity list. July 18, 2018 St. Louis Cardinals placed RHP Miles Mikolas on the paternity list. 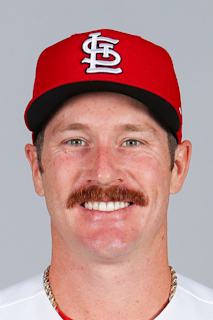 December 5, 2017 St. Louis Cardinals signed free agent RHP Miles Mikolas. November 20, 2014 Texas Rangers released RHP Miles Mikolas. July 1, 2014 Texas Rangers recalled RHP Miles Mikolas from Round Rock Express. June 15, 2014 Round Rock Express activated RHP Miles Mikolas from the temporarily inactive list. June 11, 2014 Round Rock Express placed RHP Miles Mikolas on the temporarily inactive list. May 18, 2014 Texas Rangers optioned RHP Miles Mikolas to Round Rock Express. May 14, 2014 Texas Rangers recalled Miles Mikolas from Round Rock Express. April 19, 2014 RHP Miles Mikolas assigned to Round Rock Express. March 17, 2014 Texas Rangers optioned RHP Miles Mikolas to Round Rock Express. December 30, 2013 Texas Rangers traded 1B Chris McGuiness to Pittsburgh Pirates for RHP Miles Mikolas. November 20, 2013 San Diego Padres designated Miles Mikolas for assignment. September 30, 2013 San Diego Padres recalled RHP Miles Mikolas from Tucson Padres. September 1, 2013 Miles Mikolas roster status changed by Tucson Padres. August 26, 2013 Tucson Padres placed RHP Miles Mikolas on the 7-day disabled list. August 1, 2013 San Diego Padres optioned RHP Miles Mikolas to Tucson Padres. July 30, 2013 San Diego Padres recalled Miles Mikolas from Tucson Padres. July 23, 2013 San Diego Padres optioned Miles Mikolas to Tucson Padres. July 23, 2013 Miles Mikolas roster status changed by Tucson Padres. July 21, 2013 San Diego Padres recalled Miles Mikolas from Tucson Padres. July 12, 2013 San Diego Padres optioned Miles Mikolas to Tucson Padres. July 9, 2013 Miles Mikolas roster status changed by Tucson Padres. July 8, 2013 Miles Mikolas roster status changed by Tucson Padres. June 24, 2013 San Diego Padres optioned Miles Mikolas to Tucson Padres. June 24, 2013 Miles Mikolas roster status changed by Tucson Padres. June 23, 2013 San Diego Padres recalled Miles Mikolas from Tucson Padres. March 18, 2013 San Diego Padres optioned Miles Mikolas to Tucson Padres. August 5, 2012 San Diego Padres recalled Miles Mikolas from Tucson Padres. July 16, 2012 San Diego Padres optioned Miles Mikolas to Tucson Padres. July 5, 2012 San Diego Padres recalled Miles Mikolas from Tucson Padres. June 5, 2012 San Diego Padres optioned Miles Mikolas to Tucson Padres. May 5, 2012 San Diego Padres selected the contract of Miles Mikolas from San Antonio Missions. December 21, 2011 San Diego Padres invited non-roster RHP Miles Mikolas to spring training. July 4, 2011 Miles Mikolas assigned to San Antonio Missions from Lake Elsinore Storm. April 3, 2011 Miles Mikolas assigned to Lake Elsinore Storm from Fort Wayne TinCaps. April 2, 2010 Miles Mikolas assigned to Fort Wayne TinCaps from Eugene Emeralds. June 25, 2009 Miles Mikolas assigned to Eugene Emeralds from San Diego Padres. June 23, 2009 San Diego Padres signed RHP Miles Mikolas.